On Tuesday, Dr. John Grunsfeld, head of NASA’s Science Mission Directorate told the House Science, Technology and Space Committee that extraterrestrial life is on the verge of being discovered. For many, Grunsfeld’s bold prediction was basically a pitch to the House Committee to increase spending levels for NASA’s space exploration missions, where recent successes by NASA in discovering water on other planets and moons in our solar system justifies more funding. 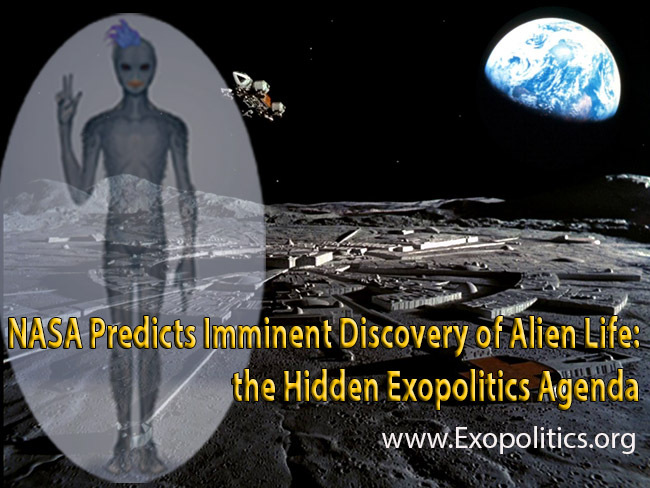 Was his discovery prediction merely a pitch for more funding based on recent scientific discoveries, or is there a deeper ‘exopolitics’ agenda at play concerning the imminent disclosure of extraterrestrial life? NASA’s recent scientific discoveries and bold predictions by Grunsfeld and other NASA officials lead to the conclusion that the public is being prepared for the imminent discovery of extraterrestrial life. Is this merely a result of genuine scientific advances in NASA’s ability to better detect the conditions for life in our and other solar system? Or is Grunsfeld’s prediction part of a deeper ‘exopolitics’ agenda driven by developments behind the scenes? Beginning in early March 2015, there was an alleged meeting on the moon involving up to 70 private individuals along with about 120 officials representing different secret space programs and national governments who heard plans about disclosing the existence of extraterrestrial life. The meeting was addressed by an 8ft tall extraterrestrial called Raw-Teir-Eir who belongs to an alien race called the “Blue Avians” that is part of an alliance called the Sphere Being Alliance. 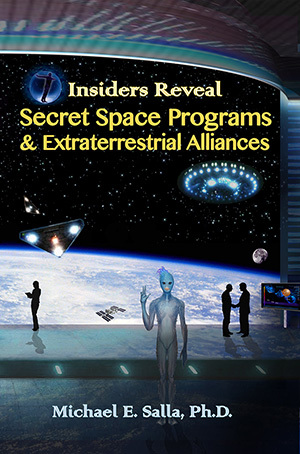 The Sphere Being Alliance is allegedly intent on helping bring about full disclosure of extraterrestrial life. 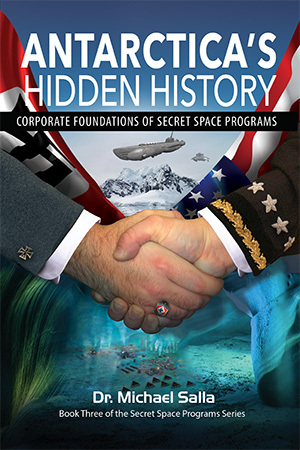 Goode’s and Gonzales’ testimonies suggest that public officials at NASA, the European Space Agency and other national space programs have been advised that plans are advancing quickly behind the scenes to disclose to the general public the truth about extraterrestrial life. In order to better prepare the world for the psychological shock of discovering that extraterrestrial life is real and that government institutions have been withholding this for decades, officials such as Grunsfeld are very active in playing up the imminent nature of a discovery of extraterrestrial life. Presentations such as Grunsfeld’s at the House Science Committee are a good opportunity to generate media interest in the implications of such a discovery while making it appear as though the only hidden agenda is a pitch for more NASA funding. If Goode and Gonzales are correct, then there is a deeper exopolitics agenda behind Grunsfeld’s announcement. This agenda suggests that any NASA announcement about the discovery of extraterrestrial life is preparation for further disclosures about when alien life was first discovered, when it first made contact with humanity, and why this vital information was kept secret from the public for decades. ← Musk & Hawking sign letter warning against future AI arms race: are they too late?